It appears that it wasn’t to the nearest 0.1 deg C. Here we are working with a discrete set of possible temperature values: 103.9, 104.5, 105.1. P. 7 shows 4 digit precision. So more accurate would be to say the temperature data was reported to the nearest 0.5 or 0.6 deg C.
I have never heard of an electronic thermometer that registers to the nearest 0.5 deg C. It is always some decimal value: 1, 0.1, 0.01 . . . This one clearly registers to 4 digits, although I doubt the last 3 are significant. It is clear that this was not an “electronic thermometer,” but a temperature sensor that generates a signal, often it is a voltage, that varies with temperature. As an example, the TI LM34 sensor generates 10 mV per degree F. This voltage may be sensed and recorded by computer using an ADC, which will have a certain resolution. We are possibly seeing the resolution of the ADC. The voltage reading will be quantized by the ADC. Looking at the data on page 7, we can see that the only Tout values are 105.0728, 104.5046, and 103.9364. The first jump is 0.5682. The next jump is 0.5682, the same. This is 1.02276 F; the resolution is close to 1 degree F.
The Tin temperatures also show quantization. The increment is the same, 0.5682 C., so the values are 63.4544, 64.0226, 64.5908, 65.1590, 65.7272, 66.2954, 66.8636, 67.4318, 68.0000, 68.5682, 69.1364. That exact value of 68 C pokes me in the eye…. coincidence, perhaps. There is no sign of calculation roundoff error there; these numbers are likely multiples of 0.5682 C exactly, plus some offset. The recorded data may have been volts, recorded to a certain precision, and then for the spreadsheet this was multiplied by a constant, so the quantized voltage then shows up as quantized temperature. This was not recorded with high precision. The pressure is also apparently quantized. Now, this is wild: the pressure is close to 1 bar. Absolute pressure, not gauge. The only values shown are 0.9810 and 1.0028, and the value oscillates between them. So the increment is 0.0218 bar. What gauge was this? Penon had said he was going to use PX3098-100A5V, an Omega gauge. This is a 6.9 bar full-scale absolute pressure gauge. The specified accuracy is +/- 0.25% FS, so it would be +/- about 0.02 bar. Then we have possible digitization error, so total error could be 0.04 bar. The digitization error was unnecessary, at this level. Besides the fact that the pressure gauge selected was too insensitive if pressure was going to be close to 1 bar, the quantization indicates that low-resolution ADC was used. Who chose the ADC hardware? Fabiani? 0.9810 bar, 19 values, average temperature is 104.5345° C.
1.0028 bar, 28 values, average temperature is 104.5452° C.
A difference of 0.02 bar would ordinarily represent a difference of about 0.54° C for saturated steam. It appears that the outlet temperature and pressure are uncorrelated. As has been pointed out by others, it is very difficult to maintain constant pressure and temperature with superheated (dry) steam, as was claimed by Rossi. Saturated steam will maintain a fixed temperature at a particular pressure, but that temperature for 1 bar is 99.63° C.
The temperature does vary, as described above, there are three values for temperature: 105.0728, 104.5046, and 103.9364. First, some basic thermodynamics. Just because I can. At this point I see confusion as to the motions in limine. “Granted in part and denied in part,” what parts? Color my mind boggled. That her reasoning wasn’t given, that’s not surprising, Altonaga can do that. But that an order is entered, that can’t be understood, that is unspecific, is unexpected. Author Abd ulRahman LomaxPosted on May 27, 2017 May 28, 2017 Categories Rossi v Darden4 Comments on Wong assumptions, cabbage conclusions. Second of the series of posts I promised on the He/excess heat correlation debate, as noted by Shanahan and Lomax. And this one is a little bit more interesting. Still, I’m going to examine the many issues here one by one, so if you expect a complete summary of the evidence from this post or the ones that follow you will be disappointed. [Quoting Shanahan in italics] On the other hand, the energy/helium ratio does not have this problem. 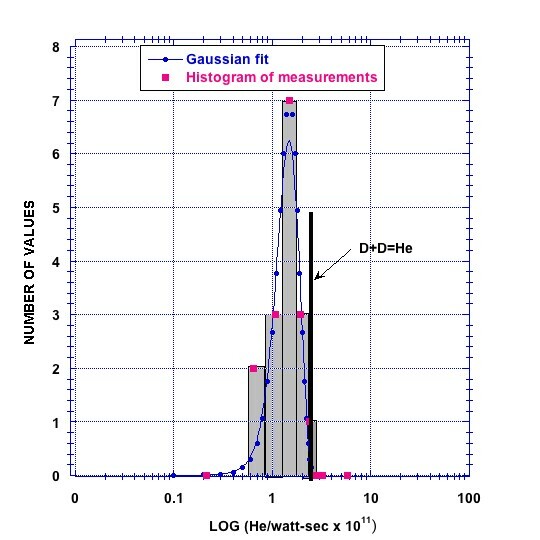 The independent errors in the He and power measurements are unlikely to combine and create a consistent value for this ratio unless the helium and energy both resulted from the same nuclear reaction. Yes. Very unlikely, in fact. On the order of one chance in a million, or more. As I have noted the value is not consistent, thus the quoted statement is nonsense. The value is consistent within experimental error. There is much more of interest in these comments than might first appear. 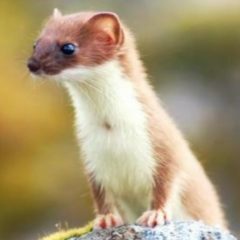 Author THHuxleyPosted on May 27, 2017 June 1, 2017 Categories Article reviews, LENR history, Scientific Method, Shanahan9 Comments on Minds open brains not falling out? Author Abd ulRahman LomaxPosted on May 22, 2017 May 23, 2017 Categories Rossi v Darden11 Comments on They don’t get it or don’t care? Once in a while a losing party will say that they learned something. It’s relatively rare! That happens even if the legal and social issues are open and shut. “I’m right” is the foundational belief for many people, for sure! It’s axiomatic Truth. Some people would rather die than be wrong. Or even merely to listen to the opinions of others about it, without interrupting. Basic skills. Surprise! Pot Calls Kettle Black! A comment by Sam, here, pointed to Youtube of her work, which I watched. Judge handle Rossi VS Darden. The judge. Faced with three motions to dismiss, and not having the time to review all the claimed “undisputed facts,” she punted. It took me months of study on this case to come to the point where I might be able to see through the fog. I never finished the study pages, though I may still work on them for historical value, but at this point it is moot. An appeal of a dismissed MSJ is not likely, and that it might even be possible is controversial. The parties’ voluminous, competing briefing and submissions plainly show the record is brimming over with disputed issues of material fact. Indeed, the Court is hard-pressed to locate any material facts on which the parties agree. Disputed factual issues are for the jury to determine. In reviewing the MSJs, Oppositions, and Replies, what I found, way too commonly, was fact, clear from the record, that was nevertheless “disputed,” ending up as a matter to be adjudicated, when the asserted fact in the Motion was not at all in dispute, but rather possible implications. 61. As early as October 2013, Defendants did not have any intention of making their requisite $89 million payment to Plaintiffs. See, e.g., Composite Ex. 9 at 117-121. That is the Darden deposition. It struck me as odd, and so even though I hadn’t arrived to that point in the analysis (I need to do this systematically or it will take far too long), I looked it up. Rossi has contradicted his own basic argument about estoppel on the Guaranteed Performance Test, by citing this deposition this way. I found the raw bird image first at Pet Yak.com. With apologies to Randi Jones. The modified image with Dottore Rossi peeking around the corner, and the bird-speech, was created by “Renzee,” according to Dewey Weaver, the infamous IH Fanatic. Rends? No, Stephenrenzz, May 17. 2016. Endless eye candy, what a find! The mostly red birds appear to be red and green macaws. The bird in the middle is a Zen parrot, also known as a Hyacinth macaw. 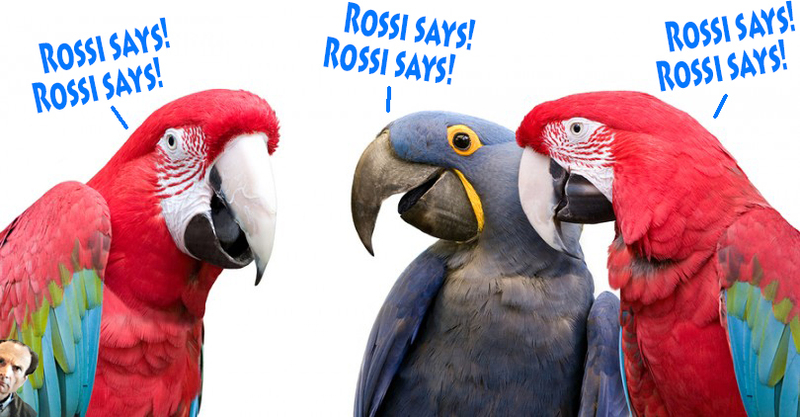 The macaw is now the official bird of Planet Rossi. Be proud! The two species shown are endangered, as is Dottore Rossi. … Some facts to remember: Rossi was innocent. He has been cleared by all charges. Petroldragon failed and was closed because he was unjustly jailed for about four years . Rossi was redounded by Italy. Rossienglish. “Redounded” — to contribute greatly to, a person’s credit or honor. I’ve never seen the word used this way, though. “Innocent” is not a fact, it is a judgment. Nor is “cleared of all charges” a fact, it appears to be false. However, on Planet Rossi words take on special meanings that make RossiSays sort-of-true, if you squint and look sideways. Perhaps doing the time for the crime clears the charges…. Some commenters here claim that Dott. Rossi was fully acquitted and exhonerated [sic] of all charges related to PetrolDragon, despite being convicted in Italian court and serving jail time there. I have never seen any evidence to support the notion that Dott. Rossi was ‘cleared’ of all charges, and it contradicts Mats Lewan’s account. In fact that is fully true. He was cleared and refunded . Just ask the Italian Lawyer (another day another troll…. probably) to ask all the documents of the trials from Rossi’s lawyers . So, great, want evidence? Ask an anonymous troll (if that’s what he is). Of the 56 prosecutions, all those which led to his incarceration ended with sentences of acquittal. Only 5 indictments (for income tax evasion, as a consequence of the bankruptcy brought about by the closure of Omar and Petroldragon) ended with convictions, which were used to justify the lengthy period of preventive imprisonment linked to the accusations that had led to his arrests. All other judicial processes ended in acquittals. Knowing how Rossi uses English in imprecise ways, and also because I remember something a little different, I checked Lewan (An Impossible Invention, pp. 62-63). The details of the sentences against Rossi are difficult to verify, but my information is that he was sentenced to four years in prison, mostly for accounting fraud in connection with bankruptcies. He was also sentenced three times for environmental crimes…. In contrast, Rossi was never convicted of fraud. According to his lawyer, Andrea Ambiveri, four processes concerning criminal fraud were initiated but they all ended up being acquitted or that charges were dropped. Of the 56 processes, five led to a conviction, according to Rossi, while in the other 51, he was finally acquitted or the case was time-barred. Time already served was deducted from the prison sentence. Someone is not “cleared of charges,” in the meaning of being found “innocent,” with reputation restored, if a case is dismissed because of a statute of limitations, one is “cleared” only in the sense of criminal prosecution and conviction becoming impossible. On appeal of certain cases, Rossi did win acquittal and reversal of fines, which may be what is talked about by “refunded,” but he did, in fact, spend time in jail for “accounting fraud,” which in a bankruptcy can be serious. Rossi’s story is that all this was massively unfair, and perhaps it was, but Rossi also set himself up for this by how he conducted his business, rejecting the corporate support that could have allowed him to overcome hostile forces. Steve Krivit has compiled references from Italian newspaper articles. I do not consider Krivit a reliable source, but there are many hints in the newspaper article titles or brief summaries that remind me of events and incidents coming out in Rossi v. Darden. Rossi plays business fast and loose. I would not be surprised at all if the QuarkX technology, if it turns out to be a thing, is considered sufficiently derivative to be included. In that case if IH hold onto their license of Rossi’s IP, the QuarkX IP would presumably be theirs to make use of as well. But IH never prepared any Industrial Plan to exploit the technology. Don’t you have to really exploit [and] industrially develop a technology to maintain the IP ? In many agreements that is true. IH did have a plan, perhaps ele should read those Ampenergo notes. Essentially, the plan was to confirm the technology transfer, showing that there was something practical, independent of Rossi’s presence, and then engage the big guys, the companies with billions to invest, in commercial roll-out. Because of Rossi’s inability or unwillingness to cooperate in creating that independent replication, of course, they never went further. But they did make devices per Rossi’s instructions, with some apparent success, and then found that, when tested more thoroughly than Rossi ever allowed, they didn’t work. Among Rossi’s inventions were test protocols and procedures that didn’t work. Ele might claim that IH is lying, that is about the only refuge left. As pointed out by another on LF, faced with a choice to decide who is lying, someone who is shown beyond any reasonable doubt to have been lying, strongly and clearly, on many occasions, and someone where the only accusations of deliberate falsehood are vague and unclear, and where there are many examples of fulfilling on agreements (such as IH ending up paying Penon in spite of high doubt as to the probity of his report), a jury will almost certainly conclude that the habits continued in each case. As to ele, above he lied about Rossi’s Italian history.